For a 06 around here that is nothing. Most 06 have scale rust on the entire frame. She drives this one in the winter. I spray it with fluid film every year the frame is painted with por15. She has a 99 and a 17 jeep. The 99 is never driven in the salt and the 17 won't ever see salt. Those Samsung gearfit watches will pop-up great work out while wrenching on the rigs. I just can't fathom that. 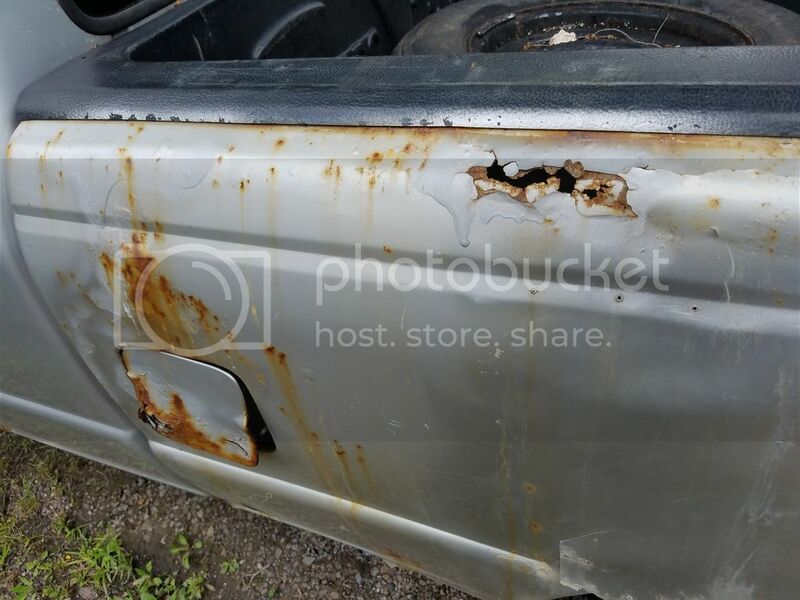 My '78 has less rust than that. This is my 04 ranger. That crap they spread on the roads rust stuff out like you wouldn't believe. Holy Crap! Now I know why older vehicles in good shape bring a premium in the Northeast. There's 2 pretty clean 4x2 06 rangers for sale over here. want me to inquire about a price? You could do a body switch. Thanks Charlie but no need. This Ranger has almost 200k on now but it runs and drives great. It's time to pick up a F150 I haul with. I haul wood and coal so the Ranger really needs replaced with a f series.